With most of our Right Bank tastings now complete, we thought it would be timely to offer some initial thoughts on the 2018s we’ve tasted. Below is a quick summary of our key Right Bank impressions, including which wines we think are contenders for ‘wine of the vintage’, as well as a few more down to earth picks that really impressed us. 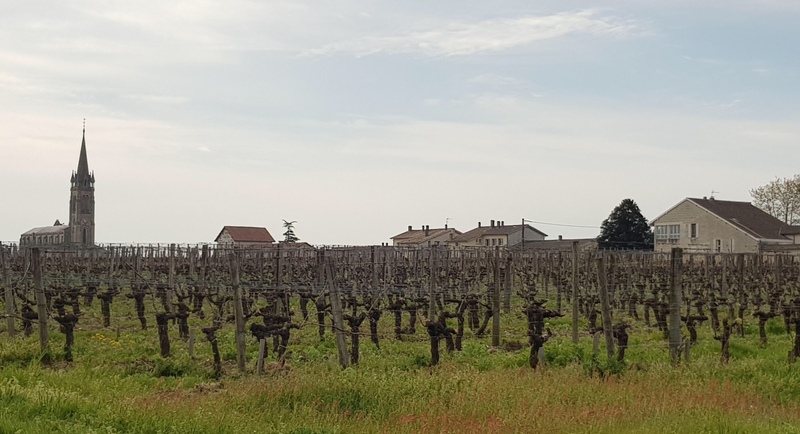 From our tastings and from discussions with many vignerons, it’s clear that the heat was the key issue on the Right Bank in 2018. Mildew has turned out to be a bit of a red herring because yields naturally tended to be so generous that, even with some losses, overall volumes remained healthy. It may have been hard work in the vineyard but, particularly if you treated early, it didn’t have a huge impact. By contrast, everyone felt the heat, though clay soils tended to fare better. For them, it was a case of ‘head in the sun, feet in the freshness’, as one winemaker poetically put it. If you didn’t have water to draw upon, hydric stress became an issue and, even if you avoided that, the natural ripeness of the vintage sometimes presented a challenge. Perhaps unsurprisingly, Merlot was the most vulnerable to the heat. One of the Pomerol’s most lauded winemakers went so far as to describe his own Merlot as ‘brutal’. No one in 2016 put it quite like that! In the end, it was those who picked early, were able to add some refreshing Cabernet Franc to the blend, or extracted with an appropriate lightness of touch that have made the most well balanced wines. Others risked producing wines where the fruit appeared either overtly sweet, slightly bitter, or just hidden amongst too much overbearing tannin and alcohol. Another interesting observation from one winemaker was that 2018 is ‘a vintage of conviction.’ With September and October so fine and dry, picking was a decision entirely in the hands of the winemaker – the first time that the elements have not dictated terms in a while. Extraction was largely a question of ‘house style’ too as fruit had the natural ripeness to give all that you asked. It’s one reason why, in such a healthy and homogenous summer, we encountered a very wide range of wine styles. Plenty of winemakers talked of seeking ‘freshness’ but not all achieved it. It must be hard to send out your pickers days, or even weeks, before your neighbours or to trust the instinct that a few gentle punch-downs will suffice. Those with the courage to let their terroir do the talking had the best instincts and fortunately we encountered plenty of juicy, concentrated and well balanced wines that showed the very best of the vintage on this side of the river. Stay tuned for our Left Bank Impressions to follow later in the week.